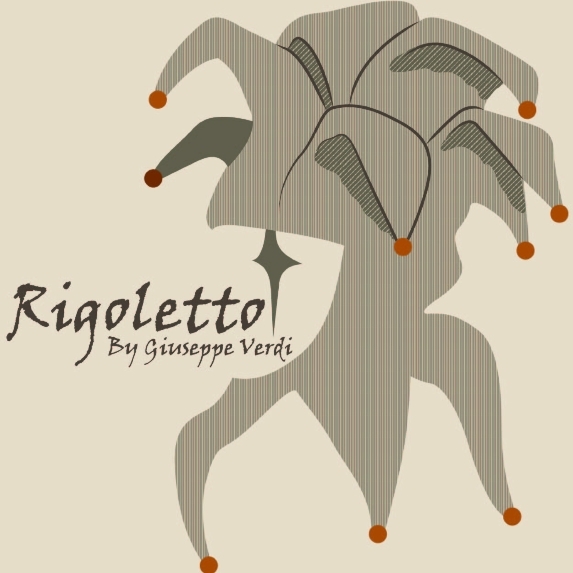 A tragic tale, the story of Rigoletto revolves around the libertine Duke of Mantua and his hunchbacked Court Jester, Rigoletto, whose beautiful daughter, Gilda, falls prey to a dreadful curse. Rigoletto, fearing for his daughter’s safety, has kept her hidden away. Unbeknownst to Rigoletto, Gilda has fallen in love with the Duke who disguised himself as a poor student. The Duke’s entourage kidnaps Gilda, thinking that she is Rigoletto’s mistress, and it is revealed that she is Rigoletto’s daughter. Seduced and shamed, Gilda returns home with her father. Determined to show the Duke’s true debauchery, he brings Gilda to a tavern to see the Duke seducing another woman. Gilda vows that she still loves him and Rigoletto sends her home. Meanwhile, Rigoletto has hired an assassin to kill the Duke, but Gilda, in attempt to save the Duke, is stabbed instead. Rigoletto, thinking he has the body of the Duke, finds Gilda near death, asking for forgiveness. Rigoletto is haunted by the curse.